We are proud to announce that we now have a forum. The forum has been created out of the necessity to have a place for the community to discuss our services, get help and for collaboration. Well, we now you do. There is still a lot of work to do with this new forum, the biggest being SSO between our Wiki and the forum. There are currently no restrictions on who can apply (at this stage, registrations are manually approved) so feel free to register for an account on our forum so you can be part of this exciting new community. Want to help someone fix their computer? or get help fixing yours? All you have to do is sign up. what are you waiting for? 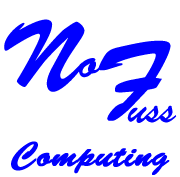 navigate to http://nofusscomputing.com/community/ to give or receive help today. what is the forum used for?